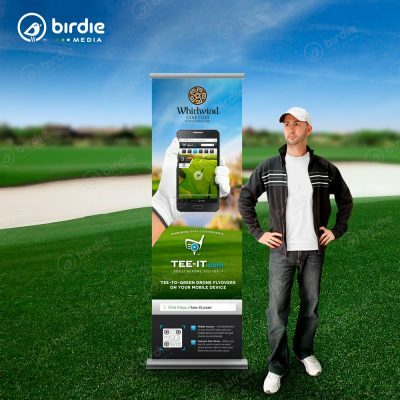 Sponsored Pennant Banners can be incredibly expensive and difficult to find in low quantities. 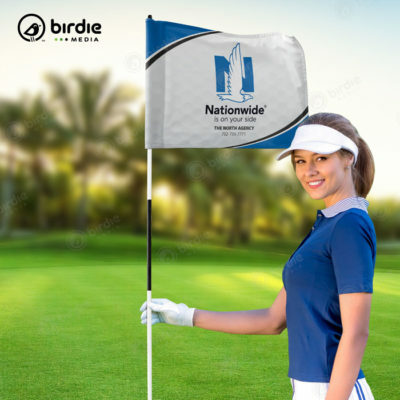 Birdie Media has created a pennant flags banner for use at golf tournaments and outdoor events. Use these sponsored pennants to define a designated space, direct a group of people or contain guests within a line. 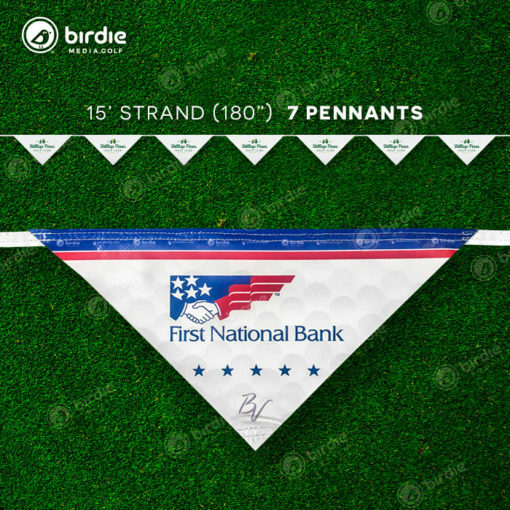 These pennant banners are offered in 3 strand lengths including: 15′ with 7 pennants, 30′ with 15 pennants and 60′ with 33 pennants. 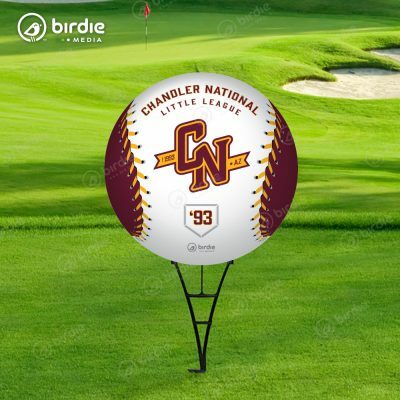 Each pennant is 17″W from left to right and tapers to a point 8.5″H. 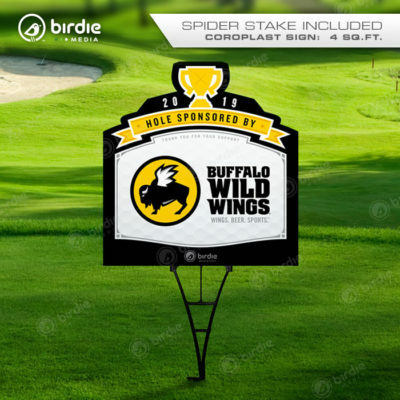 Printed 2-sided and full color on lightweight vinyl, these pennant banners are an excellent way to promote a sponsor or business and all include extra cord at either end for tying. 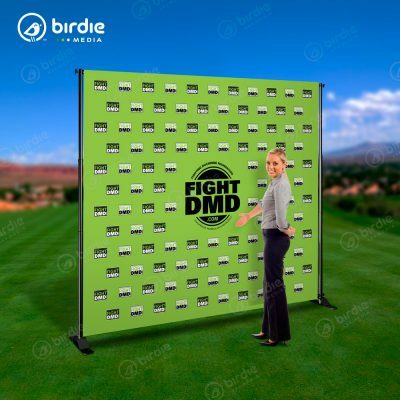 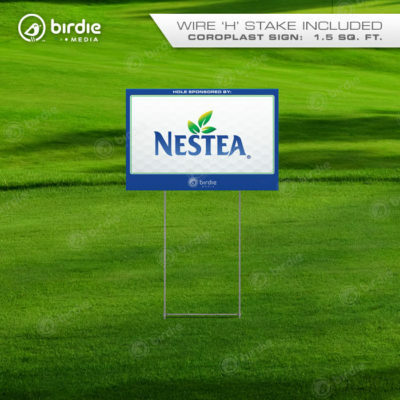 Birdie Media suggests staking the green lightweight steel fence U-post* or T-post* between every 7 pennants or so to help distribute the weight evenly and prevent sagging. 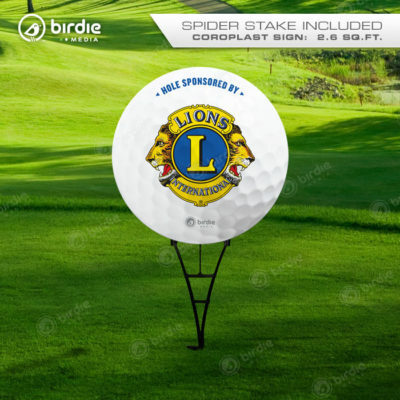 *Sold separately at most home improvement or hardware retailers.